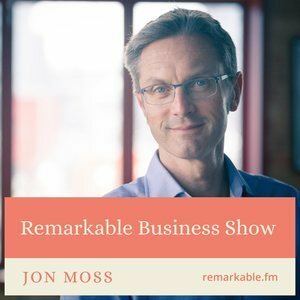 Episode 3 of The Remarkable Business Show! why you should try The Bulletin! I talk with Keir Whitaker who has been making a living with web technologies since 2000 and has held a variety of positions for both agencies and corporate organisations. 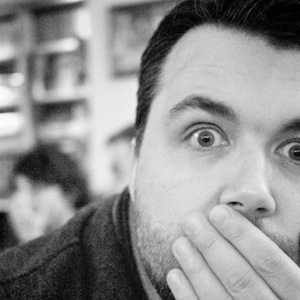 He's also worked as a freelance web developer, technical consultant, and event curator. Since 2012 he has been working at Shopify helping grow the Partner Program and building a community around designers. We talk about the culture, what the partner programme involves as well as what he is focused on for 2017. We talk about how communication has changed online and the good things about Slack and the not so good! We also discuss the events he organises with Shopify including a very successful one in Bristol plus the fact that you don't need to be a global brand. We also cover Shopify being a commerce platform and not just online. Keir also co-hosts a podcast called The Back To Front Show which we chat about. We also go into two of his favourite books plus the software that has impressed him recently. Finally, we have the quote of the episode from Paul Graham and a few topics I mentioned in The Bulletin newsletter I send out each month. HUGE thanks to Howard and Harry at Engine7 for their audio mastery and awesome fashion advice. Respect. 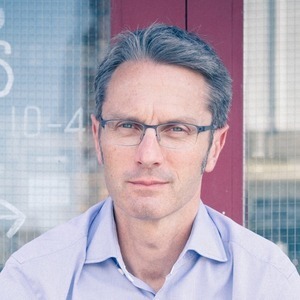 Home | Keir Whitaker — I'm Keir Whitaker — I work in the Partnerships team at Shopify. You can my read latest blog posts, find out more about me & listen to the web industry podcast I co–host. You'll also find me on Twitter and Instagram. Shopify Partner Program - Create & Sell Ecommerce Apps & Themes — The best solution for your next project. Shopify has everything your clients need to sell online, in store, and on the go. Draplin Design Co.: Amazon.co.uk: Aaron James Draplin: 9781419720178: Books — Esquire. Ford Motors. The Obama Administration. Burton Snowboards. While all of these brands are vastly different, they share at least one thing in common: Aaron Draplin. The man behind developing the aesthetic and identity of these brands, Aaron Draplin is one of the new school of influential graphic designers who combines the power of design, social media, entrepreneurship, and DIY aesthetic to create a successful business and way of life.Draplin Design Co. is a mid-career survey of work, case studies, inspiration, road stories, lists, maps, how-tos, and advice. It includes examples of his workposters, record covers, logosand presents the process behind his design with projects like Field Notes and the Things We Love State Posters. Draplin also offers valuable advice and hilarious commentary that illustrates how much more goes into design than just what appears on the page. With Draplins humour and pointed observations on the contemporary design scene, Draplin Design Co. is the complete package for the new generation of designers. Designing TWA: Eero Saarinen's Airport Terminal in New York: Amazon.co.uk: Kornel Ringli: 9783906027753: Books — When Eero Saarinen's Flight Center for Trans World Airlines (TWA) opened at New York's JFK International Airport in 1962 it was a sensation. It represented a significant change in architectural thinking, allowing TWA to polish its image by means of a building, clearly distinguishing it from other airlines. Saarinen's striking design got much publicity throughout its operational life until closure in 2001. It was regarded an emblem of the jet-age, yet it never really suited its operational requirements. When the new B747 Jumbo Jet arrived in 1970, it already proved outdated and inefficient for the number of passengers using it. Designing TWA for the first time tells the entire story of TWA terminal at JFK. It documents its architecture in area of conflict between flight operations, design and public relations. It also investigates how the building remained an icon of jet-propelled aviation while never properly serving its purpose for just that industry. The new book features a wealth of images showing the TWA Flight Center in all its beauty, alongside many documents and plans. The concise text offers much detail, reaching far beyond previous publications on one of the world's best-known buildings. Earn revenue share and gain access to exclusive resources with the Shopify Partner Program. The best solution for your next project. Shopify has everything your clients need to sell online, in store, and on the go.